Background: The safety and efficacy of laparoscopic assisted colectomy has been demonstrated in several trials and has become an accepted means for the surgical management of benign and malignant colorectal disease. 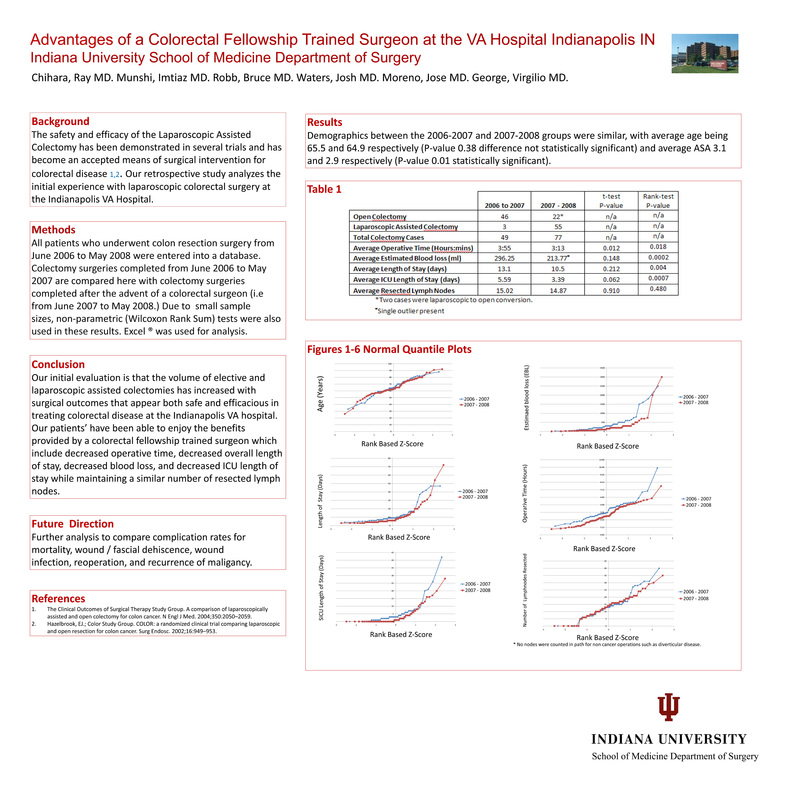 We provided a laparoscopic colorectal surgery option to our veteran population at the Indianapolis VA beginning in 2007. Methods: Retrospective analysis of 126 subjects comparing our experience in performing laparoscopic assisted colorectal surgery and open colorectal operations performed between June 2006 to May 2008. Demographic data and perioperative data was collected for both operations from hospital and outpatient records. Statistical analysis was performed using Student’s t-test with a p-value of < 0.05 to demonstrate statistical significance.